Another video of Jeremy Corbyn expressing Eurosceptic sentiments has emerged. In a speech at Durham Miners Gala in 2010 the then backbencher attacked the regime of austerity imposed by the Conservative LibDem coalition and likened it with what was going on in other countries around the world after the global recession. He asked the crowd who caused the banking crisis: “was it nurses sending all their money to thr Cayman Islands and all those tax havens around the world?” before attacking the lack of banking regulations and tax avoidance of the ultra rich. In previously un-reported comments, he told the rally: “They, the world’s bankers, International Monetary Fund, European Union, they are utterly united in what they want. “Utterly united in deflation, suppressing the economy, and creating unemployment. Utterly united in that. A Labour Party spokesperson said: “Jeremy was speaking out against the austerity that the IMF, the EU and the world’s bankers were forcing on the people of Europe at the time and calling for people to work across borders to defeat austerity and build an economy that works for the many not the few. Corbyn’s opinion on the EU has been sceptical but meandered over the years, and this video will be used to cause the Labour Leader embarrassment as he discusses a way through the parliamentary impassse on Brexit with the Prime Minister. Last week another video was unearthed of Corbyn as a back bench MP giving a speech in Ireland advocating voting against the EU’s Lisbon Treaty, warning Irish campaigners that there would be more than one referendum. Jeremy Corbyn campaigned for Remain in 2016 – but in the past he was highly critical of the EU. However Corbyn’s letter last week to Theresa May on a Brexit protecting British jobs and rights within the Customs Union and with equivalence to Single Market rules was hailed by EU leaders as a sensible way forward. The latest video of Jeremy Corbyn’s speech at the Durham Miners Gala – a trade union gathering that Corbyn attends every year – was uncovered by talkRADIO. The remarks are likely to inflame tensions with remainers inside the Labour Party. A petition calling on Mr Corbyn to back a second referendum today reached 50,000 signatures. Labour MP Angela Smith was turned away from Labour HQ when she attempted to hand in the petition this afternoon. Owen Smith, the Labour MP who challenged Mr Corbyn in 2016, told talkRADIO: “My party must realise the nightmare of a Tory Brexit is growing by the day. “We need to force the Government to take no deal off the table and support the public being given the final say. “That’s what ordinary members believe in, and what the majority of Labour voters around the country want. Smith recently threatened to leave the Labour Party amid rumours of a split in the party. Mr Corbyn’s precise views on the European Union have long been the subject of speculation, but his letter last week suggesting a Labour plan for Brexit was hailed by some as a compromise. But it was shot down by other in the Remain camp and dismissed by Conservative Brexiteers. 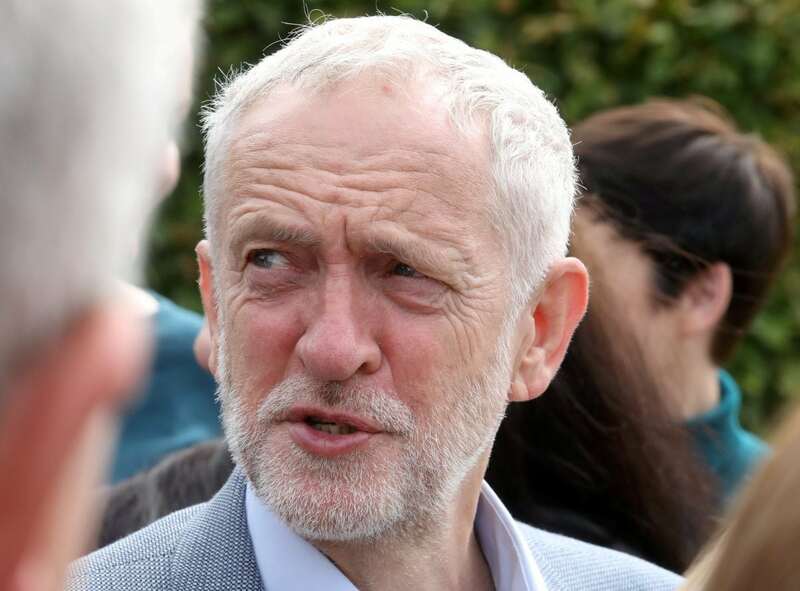 Jeremy Corbyn also wrote to Labour Party members to insist that party backing for a Final Say referendum remained an option if there was not a parliamentary majority for his compromise to avoid a damaging no deal Brexit. John McDonnell the Shadow Chancellor of the Exchequer also insisted that the Prime Minister would have a parliamentary majority if she agreed to Labour’s five conditions outlined in Corbyn’s letter. He also confirmed that Labour had not ruled out giving the British public the final say in another referendum. What are Labour’s Five Brexit Proposals? The whole of the UK staying in a permanent Customs Union with say over future EU trade deals. Close alignment with the single market, shared institutions, obligations, with clear arrangements for adjudicating disputes. People’s rights and protections keep up with the EU’s as they evolve. Participation in EU agencies and funding programmes. Detailed agreements on future security arrangements, including access to the European arrest warrant and shared databases.